Michele McDonald co-founded Vipassana Hawai’i in 1984 with Steven Smith. She has taught Insight meditation for thirty two years. 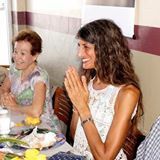 Beyond her commitment to the Vipassana Hawai’i Sangha, she teaches extensively throughout the United States, in Canada, Burma, and various locations around the world. Michele has been a quiet pioneer having being the first woman to teach a formal retreat in Burma, side-by-side with a senior monastic figure, Sayadaw U Lakkhana, Abbot of Kyaswa Monastery. 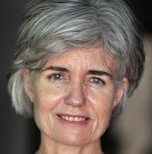 Having worked with a wide range of Asian and Western teachers, Michele is most inspired by her practice with Dipa Ma and Sayadaw U Pandita and more recently in Burma with the Mya Taung Sayadaw. 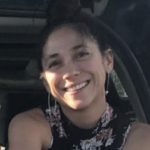 She appreciates teaching at many levels of practice and has enjoyed teaching three-month retreats for experienced students as well as developing meditation retreats for youth. Her style of teaching emphasizes helping individuals find entry points into stillness that are natural for them. She encourages an understanding of the path of insight and a gentle strengthening of mindfulness and concentration so that, ultimately, people can access the peaceful depths of their experience in every moment. Michele is thrilled when students begin to love their practice as their own. Steven V. Smith co-founded Vipassana Hawai’i in 1984 and in 1995 founded the MettaDana Project for educational and medical projects in Burma. Also in 1995 Steven helped establish the Kyaswa Valley Retreat Center in Burma, headed by Sayadaw U Lakkhana, Abbot of Kyaswa Monastery. This partnership helped usher in the beginnings of Vipassana Hawai’i’s Fusion Dhamma approach combining traditional and contemporary teaching styles in the same retreat. 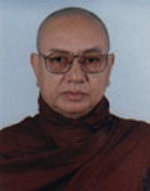 Anchored in the Theravadan Buddhist Burmese lineage of Mahasi Sayadaw since 1974, he was trained and sanctioned as a teacher by revered monk and meditation master Sayadaw U Pandita. Steven divides his time teaching Vipassana and the Divine Abodes (loving-kindness, compassion, joy, equanimity) meditation retreats around the world, and assisting Burmese refugee communities along the Thai-Burma border. His long term vision for preserving the Dhamma is culminating in the beginnings of the Hawai’i Insight Meditation Center (HIMC) on the Big Island of Hawai’i’s remote North Kohala coast. Grahame White has been involved in Buddhist meditation practice for over 40 years. He began his study in England in 1969 before being ordained as a Buddhist monk for one year in BodhGaya, India in 1971. He took a primary role in the establishment of Vipassana meditation in the tradition of Mahasi Sayadaw in Australia and co-founded the Blue Mountains Insight Meditation Center outside Sydney. 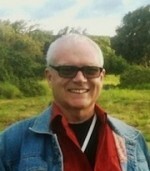 Now, Grahame leads introductory and day long courses in Sydney and regularly teaches longer intensive retreats in the US. 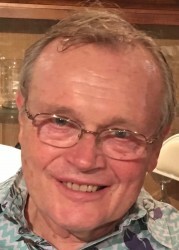 Grahame has been leading and co-teaching retreats with Sayadw U Lakkhana, Steven Smith and Michele McDonald, as well as helping to guide the Hawai’i sangha in its ongoing practice. He has also helped pioneer a workshop format that enhances the transfer of mindfulness from the formal sitting practice into daily life. Grahame returns to Myanmar (Burma) each year in order to deepen his practice and study of the Buddha’s teachings and at times assist in the teaching of Vipassana retreats for foreigners. Grahame teaches a classical tradition of insight meditation with a relaxed, accessible style. Sayadaw U Pandita was one of the foremost living meditation teachers in the world. As successor to the late Mahasi Sayadaw he was the guiding teacher at Mahasi Meditation Center until 1991 when he founded the Panditarama Meditation Center in Yangon, Burma. Sayadaw has been a devoted monk since taking novice vows at the age of 12 and full ordination at age 20. He came to prominence in the west when in 1984 he led a 3-month retreat at IMS in Barre, Massachusetts. He is the author of In This Very Life, and is the sanctioning monk behind Vipassana Hawai’i Founder Steven Smith, to becoming a leading teacher of Dhamma in the west. Sayadawgyi passed away in the spring of 2016. His impact on contemporary Dhamma teaching cannot be overstated. 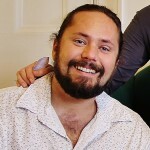 Jesse Maceo Vega Frey moved to the Island of Hawai‘i in 2011 to serve as key support for the Hawai‘i Island and O‘ahu sangha. As a teacher of Vipassana (insight) meditation within the broader context of the Theravadan Buddhist tradition, his teaching aims to inspire the skills, determination, and faith necessary to realize the deepest human freedom. A student of Michele McDonald, his approach is rooted in the tradition of Mahasi Sayadaw of Burma and encourages an exploration of the relationship between ethics, insight, and action. He is the resident teacher for Vipassana Hawai’i and teaches around the world. 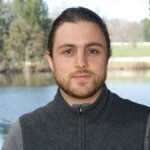 Jesse was a co-founder of The Stone House, a center for spiritual life and social justice in Mebane, NC and was a board member of the Buddhist Peace Fellowship for several years. Sayadaw U Thuzana is the Abbot of Tathagata Meditation Center (TMC) in San Jose. 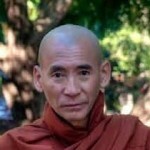 He has been a monk for 30 years and speaks fluent English. Before coming to TMC in May 2011, he was the chief meditation master at Malaysian Buddhist Meditation Center (MBMC) in Penang, Malaysia from 2003-2010. 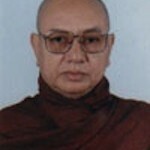 From 2000- 2003, he was an assistant to Sayadaw U Panditā at Hseminegone Meditation Center in Bago, Myanmar. In this capacity, he taught Vipassana meditation to many local and foreign yogis. Sayadaw U Paññananda is Kammatthanacariya (meditation teacher) at the Malaysian Buddhist Meditation Centre, Penang. From 1982 to 1994 Sayadaw was a Dhamma Lecturer and taught Pariyatti at Mahabodhi Pariyatti Temple in Yankin Township, Yangon. In 1994, Sayadaw practiced Vipassana Meditation at Panditarama Shwe Taung Gon Sasana Yeiktha, Yangon under the overall guidance of Ovadacariya Sayadawgyi U Panditabhivamsa. 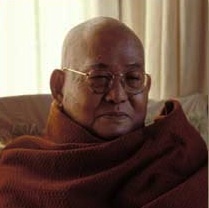 After his practice and further study under Sayadaw-gyi U Panditabhivamsa’s guidance, Sayadaw U Pannananda taught Vipassana Meditation and gave Dhamma talks as an assistant meditation teacher while living at Panditarama Yangon and was the religious advisor and resident monk of Vipassana Meditation Centre in Singapore from 1999-2012. Lynne Bousfield has been studying and practicing Buddhist meditation for more than 30 years beginning in BodhGaya, India in the mid 1970’s. Since 1980 she has returned to Burma regularly to undertake intensive practice and develop her understanding of meditation and Buddhist psychology. She helped establish Vipassana meditation in Australia and was a co-founder of the Blue Mountains Insight Meditation Centre (BMIMC). Lynne is a clinical psychologist practicing in Sydney since 1992. She was responsible for introducing insight meditation into pain management at a major teaching hospital in Sydney where she continues clinical consultation. Lynne actively incorporates meditation into her general clinical work with clients with a range of difficulties. Her emphasis in her clinical work is on the application of meditative practice as a means of understanding and transforming suffering into the foundation for insight. Lynne is regularly invited to speak and present on her clinical work at national and international psychology conferences. She teaches meditation classes in Sydney as well as annual retreats with Steven Smith in Australia and New Zealand and with Steven and Michele McDonald in Canada. U Hla Myint trained from a young age in the Burmese monastic tradition, becoming an accomplished scholar and a meditation teacher before leaving the monastic life to be a husband and raise two children, now in their teens and twenties. 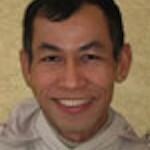 His delightful, unassuming personality makes U Hla Myint’s presentation of the Theravada Buddhist teachings very practical and accessible, while at the same time students benefit from his deep mastery of both scholarship and practice. 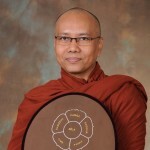 During his 22 years of monastic training, U Hla Myint earned many degrees in Buddhist Studies and Pāli language, including the Ph.D. level Abhivaṃsa degree, and he became an assistant meditation instructor at Mahasi Meditation Center in Burma. 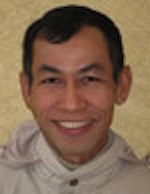 After leaving the monastic life, U Hla Myint continued to be a close disciple, translator and teaching assistant of the late Sayadaw U Pandita. Under the sponsorship of Tathāgata Meditation Center (TMC), San Jose, California, he has translated numerous Burmese dhamma books and has authored many books such as Meditation Lectures, Conditional Relations in Daily Life, Pali Language Lessons for English readers, Great Observing Power, Abhidhamma for Meditators and others. Since 2000, he has also taught the Theravada Tradition to the students of Buddhist Studies Program in Bodh Gaya, India organized by Antioch College and Carleton College, Ohio, USA. Pat Masters had over 40 years of meditation experience in Vipassana, Zen, and Tantric forms of Buddhism. She received a Masters Degree in Buddhist Studies from UCLA and had taught Buddhist Studies in India and Japan for almost twenty years. She ordained as a Buddhist nun in Bodh Gaya in the Burmese tradition under Sayadaw U. Nyaneinda, and her sangha was in Kathmandu, Nepal, Sagaing Hills and Rangoon, Burma. Pat Masters passed away in 2018. 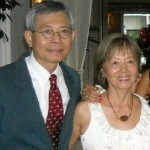 Thanh Huynh is a radiation oncologist in Honolulu. He has been practicing Vipassana for over 20 years with several renowned teachers including Sayadaw’s U Pandita, U Kundala, U Lakkhana, Sri Munindra as well as Steven Smith, Michele McDonald, Kamala Masters, and Grahame White. He has a particular interest in the direct experience of the classical understandings of the Buddha’s teachings. 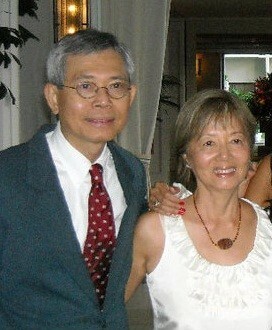 Thanh has been coordinating the Oahu Prison Dhamma program since 1992. He was trained as a Community Dharma Leader at Spirit Rock Meditation Center and currently does research on the medical benefits of mindfulness practice. He frequently offers free mindfulness workshops for the community as well as an ongoing free online course. Xuan Huynh studied with the renowned Sri Munindra several years ago and was greatly impressed by talks about two particular students of his in India. Both women yogis had attained deep dhamma experiences practicing at home after attending a 10 days Vipassana retreat. Deeply influenced by Dipa Ma and Michele McDonald’s wisdom and metta, Xuan’s goal is to achieve a seamless mindful awareness between daily life activities and formal meditation practice. has been practicing Vipassana meditation since 1996, when he was introduced to the Dhamma, with the encouragement of his wife Paula, by Gil Fronsdal. He has engaged in extensive periods of intensive practice in Hawai’i and California as well as in Burma at Mahasi Buddha Sasana Yeiktha. In addition to Gil Fronsdal, influential teachers include Grahame White, Carol Wilson, Guy Armstrong, Joseph Goldstein, and Jack Kornfield. Mark retired from his job as a Silicon Valley physicist and engineer in 2002 in order to pursue his meditation practice more fully. He is currently interested in relating the discoveries of neuroscience to his meditation. Paula Nokes began practicing transcendental meditation in 1994 for health reasons, and discovered a lasting interest in Buddhism and mindfulness meditation after attending a series of introductory Vipassana classes taught by Gil Fronsdal in 1996. She has practiced with several teachers in Hawai’i and California as well as in Burma at Mahasi Buddha Sasana Yeiktha. Some of the teachers who have helped to shape her practice are Gil Fronsdal, Grahame White, James Baraz, Carol Wilson, and Sylvia Boorstein. 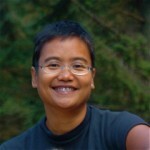 Paula is a watercolor, painting, and print artist, and has lived in Honolulu since 2002. Harry Palmer is a medical physicist currently working in the area of radiation safety. He began Vipassana Meditation in the early nineties when he was introduced to it by Michele McDonald. His practice has continued to the present with her, Steven Smith and Grahame White. Over the years other teachers and influences include Sayadaws U Pandita and U Lakkhana, and Dr.Thynn Thynn. Recently, he has been profoundly affected by his retreats with Sayadaw U Thusana. He is particularly interested in applying mindfulness, loving kindness, and compassion to daily life practice. 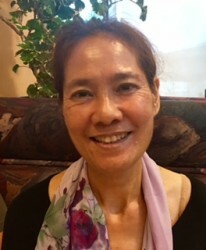 Quynh Nguyen first encountered with the Dharma 32 years ago while taking care of family and practicing as an internist in Honolulu. She initially sat with Aitken Roshi, then Michele McDonald and Steven Smith. Now retired, she enjoyed sitting with the inmates at correctional facilities and Halfway Houses. She is an eternal optimist, firmly believing that we all have the capacities to purify our mind. Catherine Hage began Vipassana and Metta meditation practice in 1997, and completed Spirit Rock’s two and a half year Community Dharma Leadership Program in 2008. Her life is devoted to releasing suffering and embracing happiness for herself and those she is graced to engage with in the physical, mental, emotional and spiritual relationships we have with ourselves, our path to freedom, fellows, and world. She is a licensed Mental Health Social Work Counselor (MSW, LSW), dedicated Iyengar Yoga practitioner since 1993, certified instructor since 2005, and first Performance Art graduate from U.H. Jake Davis began practicing at age 14, with Steven and Michele, and went on to spend nearly a decade practicing, studying, working as an interpreter, and training as a monk under the eminent meditation masters Sayadaw U Pandita and Sayadaw U Lakkhana of Burma. He brings together a deep experiential understanding of Buddhist practice with an intellectual training including study of the Pāli texts, a PhD in Philosophy and Cognitive Science, and ongoing research on meditation. Darine Monroy has been a student of Michele McDonald and Steven Smith since 2011. She has taught for Mindful Schools and has completed the Hakomi Comprehensive Training. Darine was born and raised in Mexico, and meditation retreats have been among the most meaningful experiences of her life. Pari Ruengvisesh was born and raised in Thailand. Growing up in a predominantly Theravada Buddhist culture, she became familiar with Buddhist teachings and living the teachings as an embodied way of life. She has been living in Vancouver since the late 90’s. In 2004, she started formal Vipassana and Metta Meditation practice with Linda McDonald, and later on, with Michele McDonald and Steven Smith, as well as other western teachers and Asian monastics. Pari is committed to formal meditation practice on intensive retreats and applying the teachings in her daily life. Her primary practice is the Four Establishments of Mindfulness in the Mahasi Tradition. She has practiced under the guidance of the late Sayadaw U Pandita and Sayadaw U Lakkhana of Burma, and since 2010, Sayadaw U Vivekananda of Panditarama Lumbini, Nepal. In 2012 she completed the Community Dhamma Leader Program at Spirit Rock, California. She has been sharing the Dhamma in Vancouver, and since 2013, has been assisting Michele McDonald, Steven Smith, and Jesse Vega-Frey with their annual Spring retreat at Hollyhock on Cortes Island, BC. Rebecca Bradshaw is the guiding teacher of the Insight Meditation Center of Pioneer Valley, MA. She leads vipassana retreats, including Spanish language courses, emphasizing embodied clarity and kindness. She also holds a Master’s Degree in Counseling Psychology. 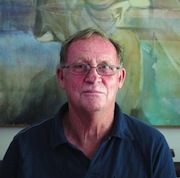 Grove Burnett is a nationally known meditation teacher and trainer in the practice of mindfulness. He is founder and guiding teacher of the Vallecitos Mountain Ranch and has practiced meditation for over 25 years. He trained with internationally renowned meditation teacher Jack Kornfield at the Spirit Rock Meditation Center. He has taught mindfulness trainings for the Yale Law School, lawyers and judges, and many nonprofit organizations. Grove has had a distinguished career as an environmental lawyer and is co-founder of the Western Environmental Law Center, a nonprofit environmental law firm. He has been named six times to The Best Lawyers in America which lists the top 1% of the nation’s lawyers. He has lived in Santa Fe since 1972. Greg Scharf has practiced with Western and Asian teachers in the Theravada tradition since 1992, and has been teaching residential retreats since 2007. His teaching emphasizes the confluence of love and wisdom on the path to liberation. Linda McDonald began Vipassana and Metta meditation in 1987. Prior to formal meditation practice, her spiritual journey included a foundation of Christian mysticism, Native American spirituality, and contemplative self-inquiry practices. Since 1987, Linda has led sitting groups, managed retreats, and served as a Board member in the Vancouver meditation community. She has also worked as a psychotherapist for twenty-five years and currently continues to work as the Executive Director of the Westcoast Dharma Society. She is a graduate of the IMS teacher training program and has been teaching meditation since 2001. Her teaching emphasizes lovingkindness, the awakening heart of bodhicitta, and unshakeable trust in the unfolding of our experiencing.